Construction of any type of wooden crate or pallet. 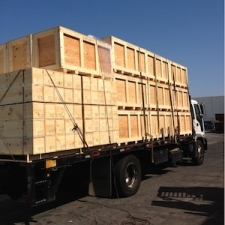 We specialize in foam-lined crates, trade show crates, and overseas containers and crating. Polyethylene, ABS, Thermoformed and Rotationally Molded Cases. We sell a full line of commercial and military containers meeting, Mil-B-26195, Mil-D-6054 and can provide reusable units meeting your case or crate requirements. 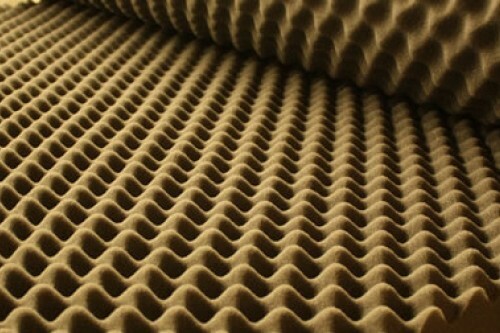 Single, Double & Tri-Wall Corrugated. 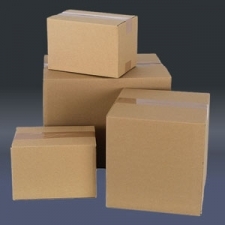 All corrugated materials, weather resistant grades, MIL SPEC V3C, V11C, V13C and W5C . 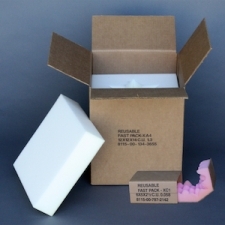 Packaging Foam and unlimited capabilities in foam design: End Caps, Cavity Packs, Star Packs, and Corner Blocks. 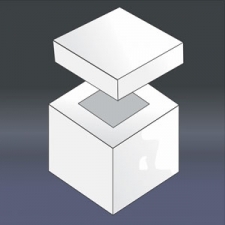 Fabricating processes include die-cutting, hot wire, convoluting, and laminating. We can deliver your crate tomorrow. Whether you need rolls, sheets, tubing or bags, we are able to supply your Military Barrier needs. 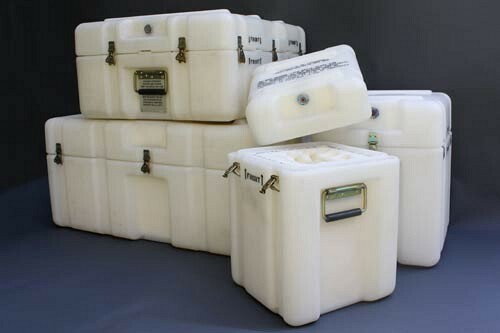 Reusable rotationally molded cases with cusioning system constructed of gray or white 2.0 PCF polyether foam. Case color is white with corrosion resistant hardware. Case is built to watertight construction and includes an automatic relief valve. 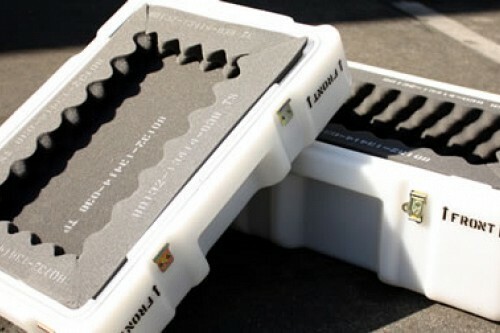 Short Run Water Resistant W5C, V3C, V11C, V13C Containers. Wood crate fabrication and on-site packaging. Construction of any type of wooden crate or pallet. 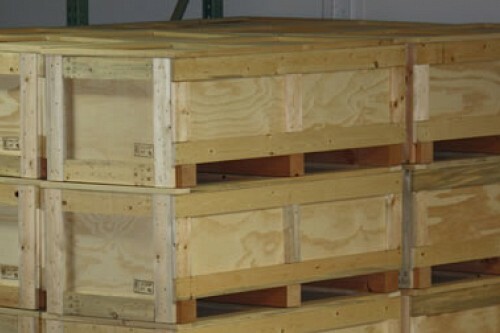 We specialize in foam-lined crates, trade show crates, and overseas containers and crating. 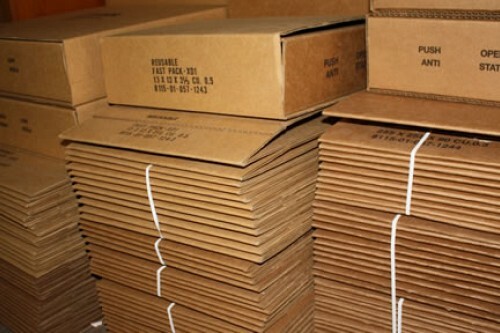 ASTM D6251 is the Standard Specification for Wood-Cleated Panel board Shipping Boxes. Exterior metal drums as shipping and storage containers. 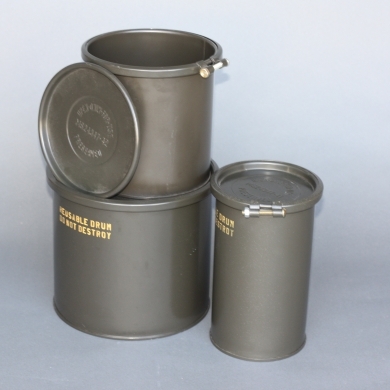 MS 24347, 27683 and 27684 style containers from .64 to 80 gallon capacities. These reusable containers are designed for severe duty. Military specifications. Drums are tested and true. Diameters: Ranging from 5.00" to 30.00"
Heights: 4.25" inside pack height to 41.12" – Modified heights also available! 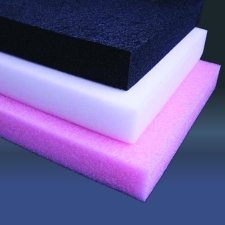 Foam cushioned, weather resistant, reusable, fiberboard box. Meets both Mil-STD-2073 and ATA 300 Category II Specs. 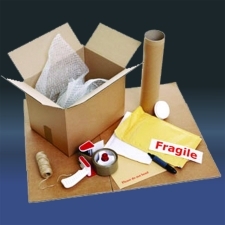 Type I packs may be used for items such as meters, gauges, and instruments. 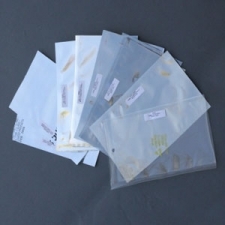 Type II packs may be used for items which are essentially flat (6 mm (1/4 inch) to 65 mm (2-1/2 inches)) such as circuit boards, electronic modules, and tubes. Type III packs may be used for black-box type items, such as receiver-transmitters, amplifiers, power supply units and electronic indicators. Type IV packs may be used for electrical-electronic items. 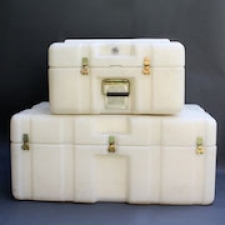 All military prime contractors require specialized foam packaging, foam dunnage, cases and containers. We are a fabricator/distributor and stock most grades of the Military series polyethylene that meet A-A-59135 sheet material, A-A-59136 plank material, and PPP-C-1752 specifications as well as all grades and densities of MIL-P-26514 polyurethane.